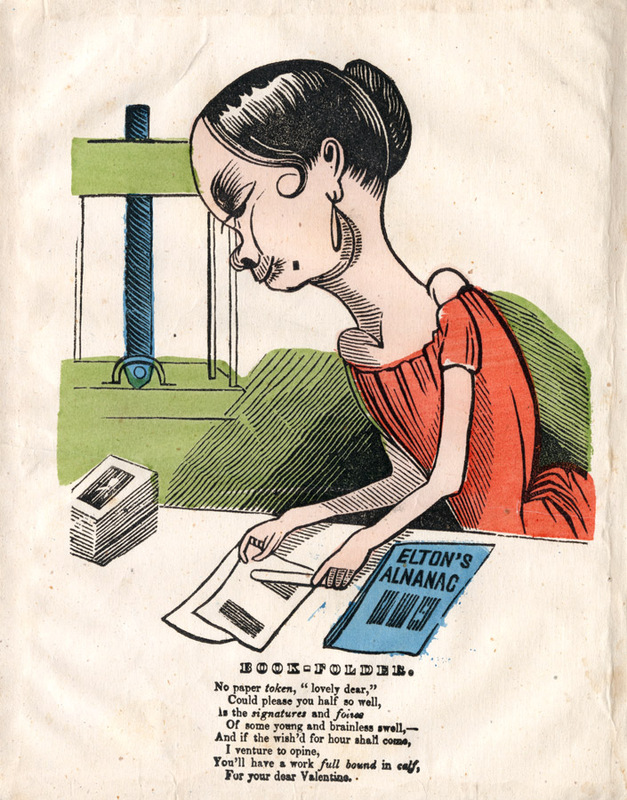 Rather unbecoming portrait of a bookbinder toiling away on an edition of the Elton's Almanac for their Valentine. Curious the artist misspelled the word "Almanac" in this woodcut illustration. I remember seeing a book with the word "Al-nanac" instead of Almanac. Though it's certainly unconventional to spell it "nanac", maybe either spelling is ok?